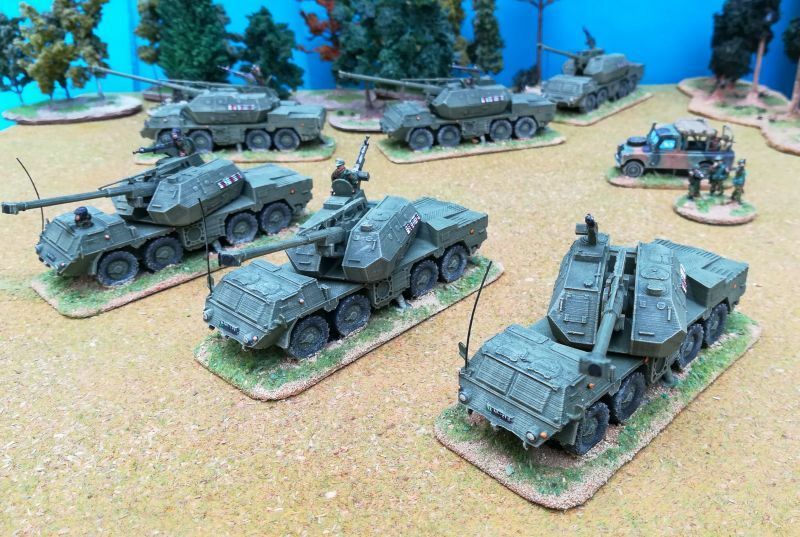 One Canadian Air Defense Anti-Tank System (ADATS) in 1:48 scale. One Czechoslovakian DANA 152 mm SpGH in 1:48 scale. One Israeli M113 Zelda with Toga spaced armour in 1:48 scale. One Canadian Lynx C&R in 1:48 scale. One Israeli Sherman M-51 (Isherman) tank in 1:48 scale. One Dutch M113 C&V (Lynx) in 1:48 scale. One Australian M113 Medium Reconnaissance Vehicle (MRV) in 1:48 scale. One Australian M113 with T50 turret in 1:48 scale. 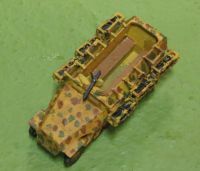 One Australian M113A1 Fire Support Vehicle (FSV) in 1:48 scale.